Gap's Athleta is a "leading brand for women designed by women" that provides women athletes with apparel for different sports and fitness activities. It has become one of the premier brands in the rapidly growing women’s sports and active apparel markets. 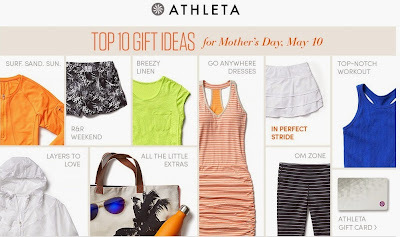 Athleta offers high quality, stylish, and functional apparel, footwear and accessories, 90 percent of which is proprietary branded, across a wide variety of sports and fitness activities, including a high component of crossover apparel as well as casual wear. 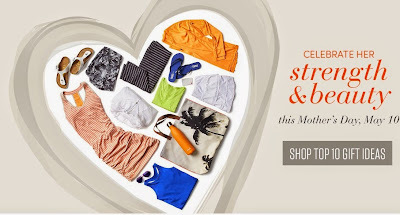 You can shop for Bikini and Tankini Tops, Swim Bottoms, Rash Guards, Swim Dresses, tights, Sports Outfits, Maxi Dresses and more! It provides versatile and fashionable performance apparel for the gym, studio and everything in between. Living a healthy lifestyle also requires having durable and functional wear that suits every woman's needs. They also had special sizes boutique, you can choose from tall, petite, and plus size. It also comes with a "GIVE-IT-A-WORKOUT GUARANTEE", meaning if it doesn't perform, return it for FREE. Celebrating strength and beauty with these trendy and functional outfits will surely be included in my wishlist, together with my fitness goals (Oh, yeah! ).